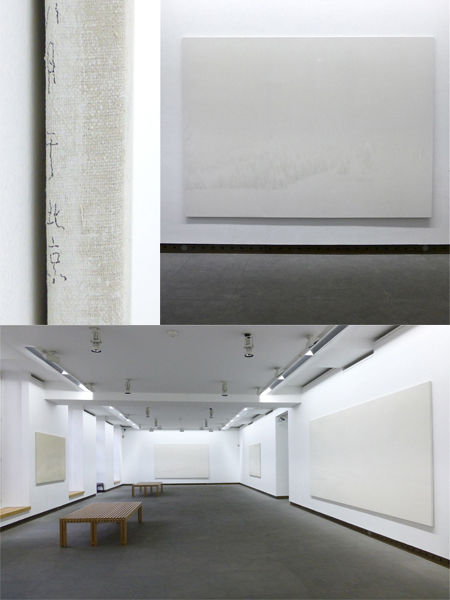 Qiu Shihua’s serene white monochrome paintings reveal themselves only when you step back and take time. The soul of being is found, beyond the obvious and superficial. What seems full of absence becomes a precious presence. In search for a true way of life beyond religion and culture Qiu Shihua, born in China 1940, practiced Taoism for more than 20 years. His work comes into being from the inside out and by viewing his white landscape paintings we sense, amidst all turmoil a nourishing calmness.